Ranvir Sena, an Upper Caste extremist militia, that was a synonym of terror among Dalits in Bihar, was helped by BJP leaders. This sensational claim was made by Cobrapost, a web portal dedicated to investigative journalism. The expose is all the more sensational as it alleges that even a former Prime Minister supported the Sena. The illegal army of landlords, chiefly the upper caste land owners belonging to Bhumihar and Thakur castes, was led by Brahmeshwar Mukhia. These self-styled commanders of the 'banned' outfit, which enjoyed patronage of political parties, told Cobrapost that how top politicians helped them in getting lethal weapons. BJP leaders including MM Joshi and CP Thakur allegedly instigated the militia for attacks. Former PM Chandrashekhar's name was revealed, as per Cobrapost expose. The outfit procured light machine guns, AK 47 and other weapons allegedly with the help of the politicians. 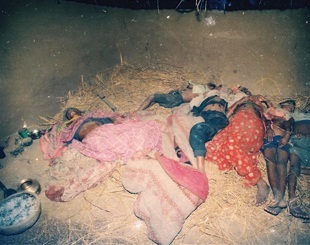 The extremist outfit terrorised poor and low caste Hindus, killing them in well-planned massacres. For an entire year, Cobrapost journalists worked on the ground and managed to capture on-camera testimonies of six commanders of the anti-Dalit militia. Two of them were acquitted because of lack of adequate evidence. The Ranvir Sena (also spelt Ranveer Sena) was responsible for killings in Sarthua, Bathani Tola, Laxmanpur Bathe, Shankar Bigha, Miyanpur and Ikwari. Majority of those killed were women and children.